Gary has been named 2014 and 2018 Personal Injury Lawyer of the Year for Toledo, by The Best Lawyers in America. Gary is honored to be included in the 2008-2018 editions of The Best Lawyers in America. He was inducted into the American College of Trial Lawyers in 2007, an honor accorded to no more than one percent of the number of lawyers in any state. He was inducted as a Fellow in Litigation Counsel of America in 2012. In addition, he has been named by Ohio Super Lawyers magazine as one of the top medical malpractice attorneys in the state from 2009-2018. Finally, he is rated AV Preeminent by Martindale-Hubbell, the highest rating available for legal ability and ethical standards for 2006-2018. Gary W. Osborne was born in Toledo, OH in 1950 and has lived there most of his life. He received a BA from the Ohio State University in 1972. He graduated from the University of Toledo College of Law with a J.D. in 1975. He was admitted to the Ohio Bar on November 7, 1975 and Federal Court practice that same year. He was admitted to the Idaho State Bar in 1976, and worked for Idaho State Attorney General Human Rights Commission Division two years. He was admitted to the Virginia State Bar in 1979. Gary has practiced law in Toledo since 1981, when he began his own practice. He began representing victims of medical malpractice in 1983, and he began limiting his practice almost exclusively to medical malpractice cases in the early 1990s. He is strongly committed to obtaining justice for his clients, while improving medical and nursing home care for all. He now limits his practice to medical malpractice and nursing home litigation. He is a member of the American Association for Justice, the Ohio Association for Justice and the Toledo Area Trial Lawyers Association. 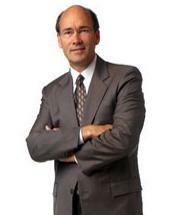 He has written and lectured to other lawyers on medical malpractice and trial practice topics. He is a Fellow in the American College of Trial Lawyers. He has been awarded an AV rating by Martindale Hubbell, as rated by his peers, indicating the highest level of professional competence and ethical standards. He is a member of The Million Dollar Advocates Forum.